Artworks are one of the most mystery-filled objects created by human being. They provide the closest depictions of what really goes on in the minds of people. And art as a sphere has one of the largest varieties of creations known. It encompasses portraits, paintings, sculptures and different carvings in various shapes, sizes, forms, and styles. Over the years, artists have worked tirelessly to create the most famous pieces we know. 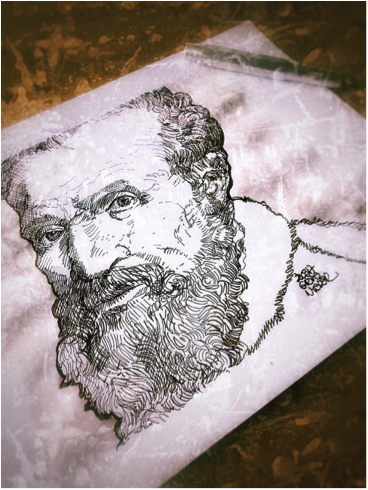 From Leonardo Da Vinci to Picasso, Michelangelo, and Van Gogh, history has endeared us with memories of geniuses who gained adept mastery of the paintbrush and the carving chisel, leaving their life works to be displayed to the awe and respect of many art lovers. Taking into account the fact that an artist would always want to be defined by his work, it is very understandable how hurt he would feel if his work gets lost. Or worse, stolen and never returned. There have been some well-known pieces that got lost for one reason or the other – destroyed in wars or sold off without the artist knowing. We picked out a few lost masterpieces that were lost in time but you can also pay essay here and get more information that you might not be aware. Created by Jean D. G. Courbet in the middle of the nineteenth century, this piece was an apt showcase of laborers, especially those ones with meager earnings. He was moved to make this painting after seeing with two laborers in real life. 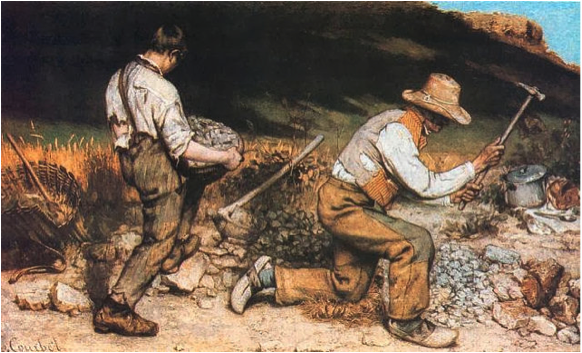 The painting is seen as accurately detailed; it showcases the physiques of the laborers and the strain on their barely seen faces as they work out their quota for the day, breaking rocks into smaller pieces. The masterpiece was destroyed almost one century later in WW2. Picasso is not exempted from getting into the list of artists that suffered the loss of an artwork. Barely three decades after “The Painter” was created by the Spain-born art legend, the work of art was destroyed in a ghastly aircraft disaster that took along almost 300 souls aboard the plane. Johan Vermeer’s “The Concert” was estimated to have a value of $200 million when it was stolen from the museum where it was displayed. Reports state that two individuals disguised as law enforcement agents and carted away about 13 artworks. Their whereabouts are not known till date. Although this wasn’t the only work of Vermeer that was stolen, it is considered as the priciest stolen painting in history till today. The owner of this artwork is largely unknown. The piece was created in the mid-fifties by someone reputed to be an art master from a prestigious Italian art school. It was destroyed alongside a host of other painted works in 1945 due to a fire outbreak. The exquisitely beautiful chamber was created by two talented people: German-born architect A. Schlüter and his countryman W. Gottfried who was a craftsman. With an area of 180 sq. feet, the Amber room featured beautiful mosaics adorning amber-colored panels – all made out of gold. It was esteemed as one of the hallmarks of baroque art and later gifted to Russia’s Peter the Great as a friendship token. It is carted away by the Nazis when they attacked later on. They dismantled the edifice and took it to a city where its whereabouts became unclear till date. A copy of it was later made and displayed near St. Petersburg. This one was created by a pioneering founder of the ‘impressionist’ style of painting in France, O. M. Claude. He created several of these paintings, and two were bought by a museum. They were simultaneously gutted in a fire outbreak that killed one worker and left several firefighters with smoke inhalation effects. Efforts to restore both pieces of art proved abortive. Created by the legendary Michelangelo di L. B. Simoni, in the early sixties. Records claim he gave the work to a friend who took it along to France. It was last seen since then. R. Fiorentino’s copy of the artwork is the only one remaining. The long-lost painting was created by Michelangelo Merisi da Caravaggio in the early seventies. It was stolen in 1969 from an oratory in Sicily, Italy. This encompasses a series of 6 works by W. Hogarth, an English painter who is seen as the father of ‘satirical caricatures’. The original paintings depict the story of a young lady who, finding herself in London gets into prostitution and dies aged 23. They were also gutted in a fire, but due to the massive number of copies sold, they managed to remain for about 30 years.